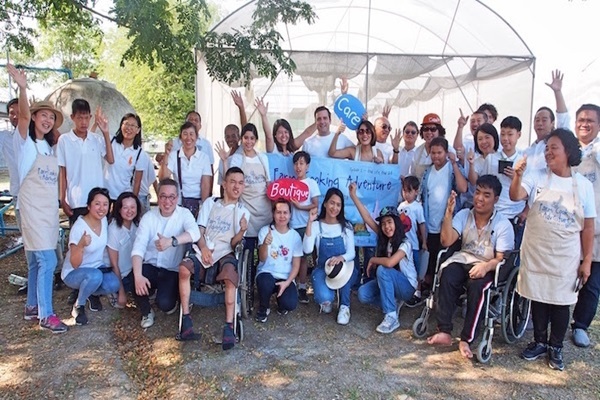 BANGKOK, THAILAND (8 JANUARY 2019) – Leading Asian restaurant operators, Mango Tree Worldwide and COCA Holdings, have teamed up with the Zy Movement Foundation to invite differently-abled children and teenagers to a unique farm-to-table cooking experience in Thailand. Under this rewarding CSR initiative, which was hosted on 30th November 2018, 10 children and teenagers were invited along with their parents to the COCA Boutique Farm in Chachoengsao Province, just a short drive from Bangkok, to gain real-life culinary skills from professional chefs. The youngsters were welcomed at the organic farm and introduced to the chefs and the management team from COCA and Mango Tree restaurants in Thailand, India, Vietnam, Hong Kong and Japan. Following a welcome speech and orientation session, the children were taken on a guided tour of the farm and taught about the organic produce. They then helped handpick the ingredients to be used in their dishes, including organic vegetables, free-range eggs and fresh fish. Under the expert guidance of COC and Mango Tree’s international chefs, the youngsters were shown how to create exceptional and authentic dishes using the organic ingredients. After a delicious, nutritious lunch, all participants were presented with a plant to take home as a reminder of their day on the farm. For three of the children however, the experience did not end there. The youngsters who showed the most promise at the COCA Boutique Farm have been invited to the COCA restaurant at CentralWorld in Bangkok on 5th January 2019, where they spent the day gaining practical work experience in a professional restaurant environment. A special seafood set was specially created and served on the day for THB899, with all revenues being donated to the Zy Movement Foundation. All the children were given a certificate and daily allowance. “Farm-to-table cooking and CSR are the cornerstones of our business, so we were delighted to introduce the next generation to the COCA Boutique Farm – our own source of organic produce. Through this invaluable activity we hope to provide knowledge of healthy cooking and real-life skills to youngsters who otherwise might not have had the opportunity to let their talent shine. I was delighted with the success of this event, which will enable promising youngsters to gain real-world experience in a professional kitchen and be able to support their independent living,” said Trevor MacKenzie, Mango Tree’s Global Managing Director. “Zy Movement Foundation is a wonderful partner which helps thousands of children with disabilities to overcome their difficulties, while also improving public understanding of these issues and creating a more barrier-free society. We are proud to partner them and help to develop new opportunities for young people at our restaurants,” he added. 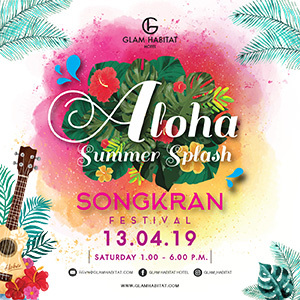 A total of 42 representatives from Asian Cuisine & Hospitality and its partners, COCA Holdings, Zy Movement Foundation and COCA Boutique Farm joined the event in Thailand, and US$12,000 was raised in cash donations.